The Supreme Court of India has reminded the courts that while imposing sentence, a Court has a duty to respond to the collective cry of the society. The Apex Court said that the agony of the victim or the survivors of the victim cannot be brushed aside. A bench of the Apex Court comprising of Justice Dipak Misra and Justice Prafulla C. Pant while dealing with a case wherein sentence awarded to the accused under Section 306 IPC was minimal, held in a judgment rendered on Tuesday that the court of first instance as well as the appellate court which includes the High Court, either on individual notion or misplaced sympathy or personal perception seems to have been carried away by passion of mercy, being totally oblivious of lawful obligation to the collective as mandated by law and forgetting the oft-quoted saying of Justice Benjamin N. Cardozo “Justice, though due to the accused, is due to the accuser too” and follow an extremely liberal sentencing policy which has neither legal permissibility nor social acceptability. The factual matrix of the case was as follows: The respondent nos. 2 to 4 (before SC) stood trial for the offence punishable under Section 306 IPC. Initially the FIR was registered under Section 302 IPC but during investigation, the investigating agency had converted the offence to one under Section 306 IPC. The charge was framed in respect of the offence under Section 306 IPC and the plea of the accused persons was one of complete denial. Being aggrieved by the said judgment of conviction and order of sentence, the respondents preferred a criminal appeal before the High Court which affirmed the conviction. “As regards the quantum of sentence of imprisonment, this Court, hereby, refers to the jail custody certificates, as per which each of the appellants has undergone a period of 4 months and 20 days. They are not found to be involved in any other criminal case. In view of the totality of the circumstances, this Court is of the considered view that no useful purpose will be served by sending the appellants back to jail for remaining sentences of imprisonment. Ends of justice would be amply met if their substantive sentences of imprisonment are reduced to the one already undergone by them. The reduction of sentence was the primary grievance in one of the appeals before the Supreme Court. 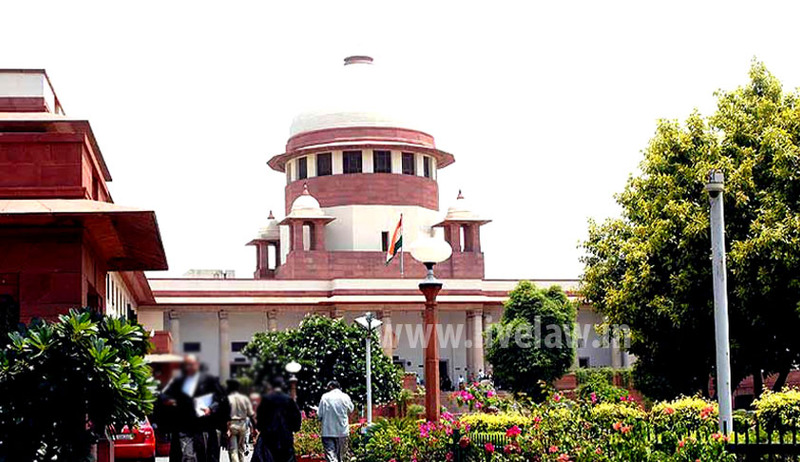 The Apex Court said that it is really unfathomable how the High Court could have observed that no useful purpose would be serve by sending the accused persons to jail for undergoing their remaining sentences of imprisonment, for the High Court itself has recorded that the appellants therein had remained in custody only for a period of four months and twenty days. It was in this context that the afore extracted ruling warning courts against undue and misplaced sympathy towards accused and arbitrary exercise of judicial discretion came to be delivered. Consequently, the appeal, as far as the challenge to the reduction of sentence by the High Court was concerned stood allowed by the Supreme Court and the judgment of conviction and order of sentence by the trial Judge was restored.